The Oregon Transportation Plan is the long-range transportation system plan for the state. The Oregon Transportation Commission guides the Portland Value Pricing Policy Advisory (Congestion Pricing) as part of the Keep Oregon Moving legislation (HB 2017). Here’s my Transportation Vision for Hayden Island (pdf). For the past three years Metro and their partners have been working to update the Regional Transportation Plan. The Regional Transportation Plan is a blueprint to guide investments for all forms of travel– motor vehicle, transit, bicycle and walking – and the movement of freight throughout the greater Portland region. The bridge is the first issue discussed in the “Tough Topics” section of the draft Washington Transportation Plan — 2040 and Beyond, a long-term transportation plan created by the Washington State Transportation Commission. The Southwest Washington Regional Transportation Council supports the replacement of the Interstate 5 Bridge with high-capacity transit with a dedicated guideway. The 2014 RTP for Clark County is their long-range, regional transportation plan. Oregon House Speaker Tina Kotek wants to sit down with Washington lawmakers before the end of 2018 to discuss replacing the Interstate Bridge. But consensus on what’s needed or how to pay for it is tricky. Then there’s the problem of more lanes equals more traffic. Here’s a video explaining How to Fix Traffic Forever. Oregon’s Regional Transportation Plan outlines transportation priorities for the next 25 years. The Rose Quarter Freeway Expansion is ODOT’s current priority, with the Interstate Bridge the next big budget item. Many organizations and Portland community members are against the proposed freeway expansion on the grounds that it encourages more traffic, and just compounds the problem. They believe improved mass transit with autonomous transit, carshare and scooters for the last mile is a better approach. Congestion costs Portland commuters $1.76 billion in time and fuel in 2014, according to a 2015 analysis by the Transportation Institute at Texas A&M University. Data firm Inrix estimates that Portland delays in 2017 cost $3.9 billion in fuel, lost time and freight delays. That’s $1,648 a year per metro resident. Gas for a car costs about $.12 per mile while electricity costs about $.04 per mile. Cars typically sit unused for 95% of the time, but with Uber and Lyft they can be put to use driving other people around. Some studies predict that by 2030, 95% of U.S. passenger miles will be delivered by autonomous electric vehicles. 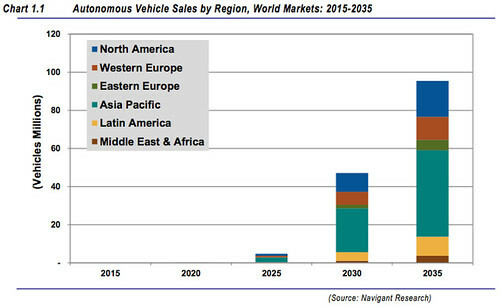 By 2030 you probably won’t own a car – instead on-demand electric autonomous vehicles will be used. The Interstate Bridge carries some 135,000 vehicles daily. Why not siphon 10%-25% of that freeway traffic onto mass transit? The earlier proposed bridge had NO lift section, requiring an arch TWICE AS HIGH than the current one. The required 15% maximum grade means the interstate bridge would tower 3-4 stories above Hayden Island, creating a dark cloud of diesel particulates, noise and pollution. In 2-3 years, electric cars will be cheaper to buy than gas cars. They’re currently MUCH cheaper to operate and maintain, but cost a premium over Internal Combustion Engines. Cheaper batteries are the driver in this fundamental paradigm shift in transportation. In less than 5 years (and before any Columbia River Bridge is built), autonomous cars will likely be operating routinely on Oregon roads. Rubber-tired people movers can connect Vancouver to the Expo Yellow Line. They can use a much cheaper, smaller and lighter bridge. No overhead power. No new rail infrastructure. Rubber tired shuttles can use existing roads – or MUCH lighter and cheaper bridges. 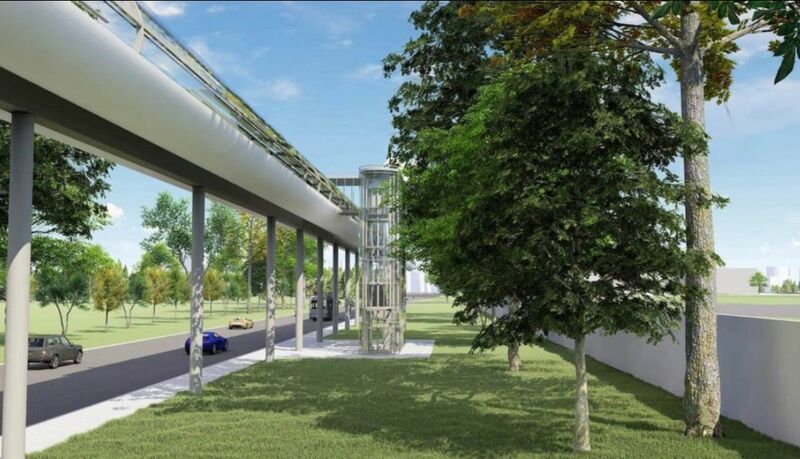 Bridges built for pedestrians, bikes and electric shuttles. 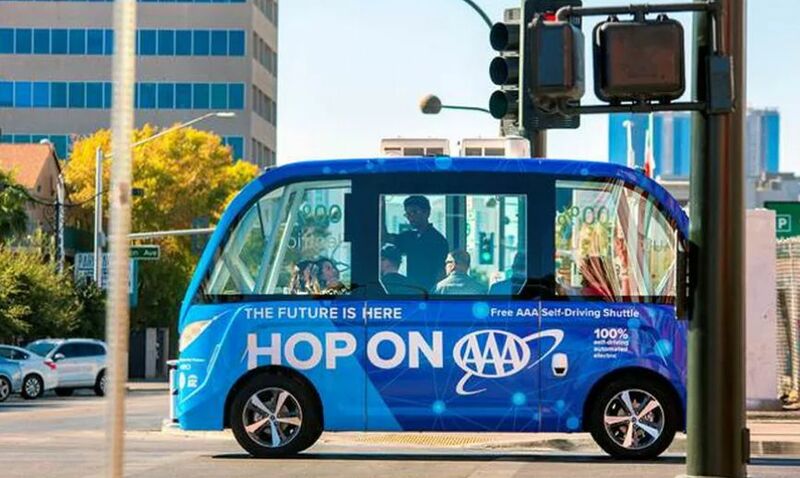 In my view, a small, dedicated bike/autonomous transit line using 8-12 passenger, rubber-tired, battery operated people movers could connect Vancouver to the Expo Center much faster and cheaper. A smaller, lighter, cheaper bridge. No operator. Bechtel’s Airport Max line might be a business model. In partnership with a real estate developer, a new community might be constructed near the Columbia — along with the mass transit connections — at NO cost to taxpayers. It would go down better with commuters than congestion pricing on existing freeways. Portland is planning the Manufactured Dwelling Park (MDP) zoning project to stabilize the housing situation for people living in manufactured or mobile home parks by creating a new base zone for mobile home parks. The City of Portland recognizes the importance of mobile home parks as an affordable housing option. These parks and the housing units in them provide some of most affordable housing in the city. Development along the Columbia River and light rail may be inevitable. What to do? How about re-imagining one of the golf courses as a mixed use area for residents? The 38 acre South Waterfront development, by PDC and private developers, created a multimodal destination with new streets, parks, a streetcar, an aerial tram, and a light rail/pedestrian only bridge over the Willamette. The first $1.9 billion phase was the “River Blocks” development. Redeveloping Golf Courses for Housing? But what if you could buy 18 holes of the 36 hole Heron Lakes Golf Course, and move the Port’s Vanport Wetlands (next door to Expo) 3000 ft West, to Heron Lakes. The vacated wetland space by the Expo Center could then utilized for housing adjacent to the Max Yellow Line. Heron Lakes Golf Club is a public, municipal golf facility that is owned by the City of Portland and operated by Portland Parks & Recreation. Heron Lakes is one of only a few public 36-hole golf facilities in the Pacific Northwest. The Port of Portland maintains their wetlands footprint by swapping Vanport Wetlands for Heron Lakes. The developer acquires the old Vanport Wetlands from the Port, providing a more appropriate space for development. Light Rail is conveniently next door. You could build 12 story high condos, inexpensive, container-style modular homes, and a mixed income community with water access. Here’s another idea: move Portland International Raceway to the old Horse Track, on the other side of I-5. The horse track property isn’t used (much) while the racetrack currently adjoins the Max Yellow Line stop, in what was once Vanport property. Housing on the PIR property might also trigger federal funds to improve the levee, especially the section where BNSF has their railroad berm. That is the weakest link in the levee chain. Because PIR and the Vanport Wetlands are next to each other, thousands of housing units could be developed, while maintaining the wetlands canopy using 18 holes of the Heron Lakes Golf Course. A large park would be incorporated into the new housing area, but the main selling point would be convenient access to mass transit. This vision would accommodate all incomes with opportunities to socialize, incorporate higher density housing than the Manufactured Home Community, and provide river access to North Portland Harbor. It would provide the Port with more wetlands in the “bank”, and allow for new development without displacing low income home owners. Diversified Marine would be provided incentives to move towards the railroad bridge or Terminal 6. Sidewalk Labs says wood structures, like Cross-laminated timber, are cheaper to build and can more easily be changed or adapted over time. Streets are prioritized for walking and biking. Cross-laminated timber is the building material of choice for this liquifaction-prone area. Vancouver’s Waterfront development includes up to 3,300 residential units zoned for apartments, condominiums and senior housing. Timberhouse, a 12-story apartment with offices and ground-level retail, will include 251 apartments with 12,000 square feet of retail, built from cross-laminated timber, made by gluing, heating and pressing boards of lumber together to form large panels. Timberhouse is expected to be 146 feet tall, which would make it the third-tallest building in Clark County, surpassed only by Smith Tower at 158 feet. Buying the Hayden Island Manufactured Home Park could cost $100 million since there are 500 residents paying Lautrec $650-$1000/month for the property, while taking years in court and require fighting city hall. In addition, how would 1,000-2000 new residents get on and off the island? The Port of Portland bought the land south of Expo. They promptly flooded it, creating the Vanport Wetlands. Why would they do such a thing? The Port needed to expand airport construction — so they traded their (poor) wetland space at the airport for new wetland space at Expo and paved over the “old” wetlands at the airport. It was a good deal for everyone. The Port kept within their legal wetlands “footprint” by swapping their PDX wetlands for new Expo Center wetlands. Creating the Vanport Wetlands was better for both the Port and the wildlife, and enabled the Port to expand. Funding for Guerrilla Development’s Fair-Haired Dumbbell, a 56,000-square-foot creative office project at the Burnside Bridgehead, will come in part from $1.5 million in crowdfunding.